 In order to become a member of the World Organization of the Periodical Press the candidate has to present the testimonials of a real cooperation in the written, audio-visual or by internet, in a press media of real importance. A presentation bulletin (sent by the Secretariat, upon demand of the candidate) giving, moreover his name, address and nationality, the precise quality in one of the following categories : editor – manager of a publication – chief-editor – publication secretary – correspondant – press-photographer – sound or image technician – cartoonist – embassy’s councelor or press attaché – critic – columnist – (journalist) trainee. All documents which may inform the Admission Committee upon the journalistic activity of the candidate, namely originals of recent articles, or photographs published in the periodical press, under his signature and a certificate of the Chief-editor of the publication for whom he works for – or, a certificate of the Chief of Mission, in the case of a Councelor or Press Attaché, for the embassies. The candidate, exercising a journalistic activity “on-line, on the Web” has to furnish the proof that the visitors of the site are audited by the CIM (Control of Medias’ readership). 3 recent photographs of the candidate,” identity’s card” size. Examining the presented file, the Admission Committee agrees or not the “Admission demand” and let it know to the candidate, as soon as possible. When accepted, the candidate – after the payment of the entry rights and the annual fee – receives the documents mentioned hereafter (see “Services”, and so on). The entrance right and the annual fee are yearly mentioned, at the Annual General Meeting. The annual fee is 60 € for the European Union’s members and of 65 € for the members outside the European Union.